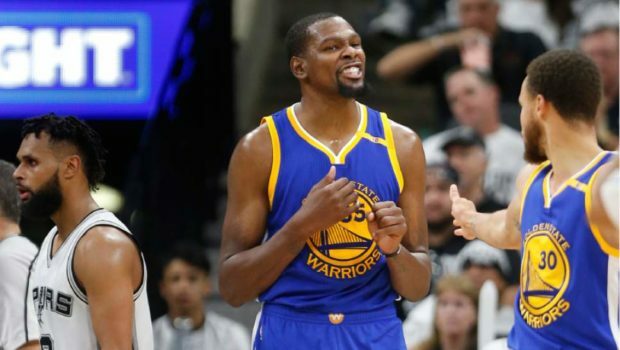 DURANT AND DUBS SMACK SPURS 120-108 FOR 3-0 WEST LEAD! It’s all over but the pouting. 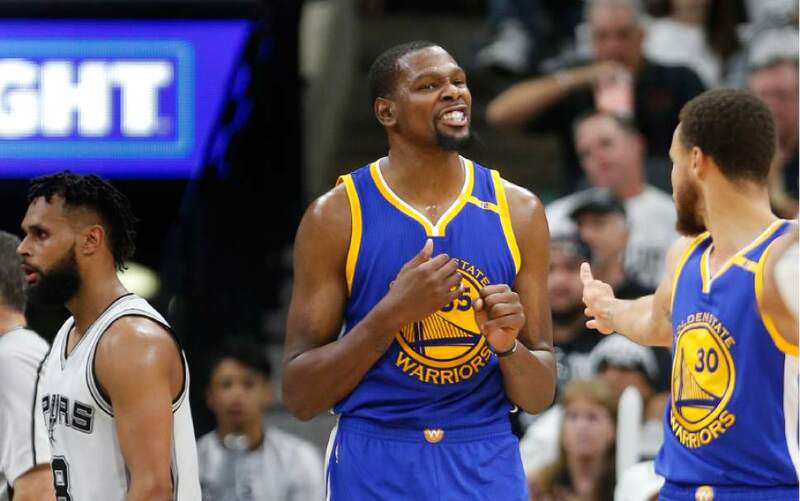 Kevin Durant saw to that with 33 points and 10 rebounds as the Golden State Warriors beat the injury-riddled Spurs 120-108 on to take a 3-0 lead in the Western Conference Finals. Previous PREDS BAKE DUCKS 3-1, LEAD WEST FINALS 3 GAMES TO 2! Next PIRATES POUND ‘CLUELESS’ VELASQUEZ FOR 6-3 WIN OVER PHILS!